Every Rangemaster Professional Deluxe Cooker has an assortment of standard features, including Rangemaster’s innovative Handyrack, a timer, a programmable clock, a multi-function oven compartment, an electric fan oven compartment and a duel circuit glide-out grill. This series is sleek, safe, functional and friendly in every way! It easy to maintain and its surfaces make it easy to keep clean, inside and out! The Professional Deluxe 110 Duel Fuel Range comes with Rangemaster’s exclusive Rapid Response feature. Rapid Response preheats up to 30% than normal cookers by drawing extra heat and rapid rate for my precise cooking. The Professional Deluxe 110 Dual Fuel Range features a multi-zone ceramic hob with combined gas and electric cooking options. It also has 5 burners, a three wok cradle, cast iron pan supports, a heavy duty griddle plate and a warming surface. You will also love the extra storage drawer that helps you keep all of your tools and utilities within reach. 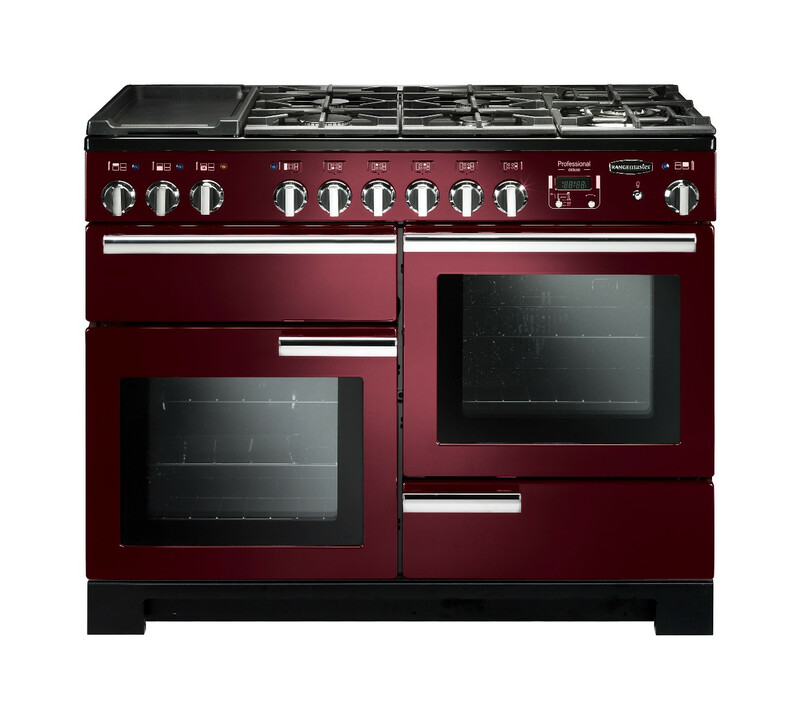 Rated “A” for energy efficiency in the UK, the Professional Deluxe 110 Dual Fuel Range is available in black, white, cream, cranberry, or stainless steel. Also considering the Rangemaster Professional Plus? Find out the key differences between the Professional Plus and Professional Deluxe models on our blog. The Rangemaster Professional Deluxe 110 features incredible amounts of storage with two 73 litre ovens, a storage compartment, a grill, 7 hob burners and a multizone. 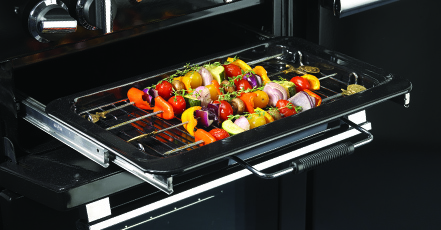 This provides you with enough space and cooking styles to create any meal for any occasion.